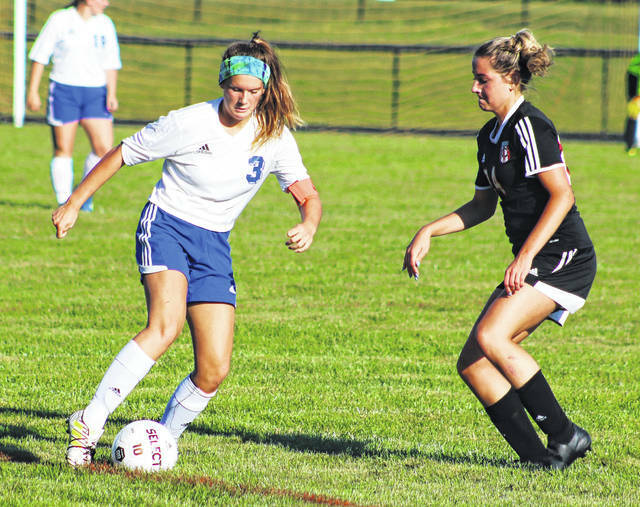 Washington’s Mackenzie Shaffer (3) controls the ball during a non-conference game at Circleville Thursday, Aug. 23, 2018. Circleville won the game, 7-0. Washington hosts Wilmington Saturday at 11:30 a.m. and will play at Hillsboro Tuesday at 6:45 p.m.